26 July 1999 was the day when India defeated Pakistan in Kargil and the war finally ended. The reports of infiltrators atop heights of Kargil districts of Jammu and Kashmir along the Line of Control (LOC) surfaced and the war broke out in May 1999. The war went on for two months. However, India's the then Prime Minister Atal Bihari Vajpayee had announced the victory in advance, disclosed Brig MPS Bajwa (retd) during the third Maj Gen KS Bajwa Memorial-Regiment of Artillery War Experiences Talk, organised by the Centre for Indian Military History, Sector-19, Chandigarh on Wednesday. 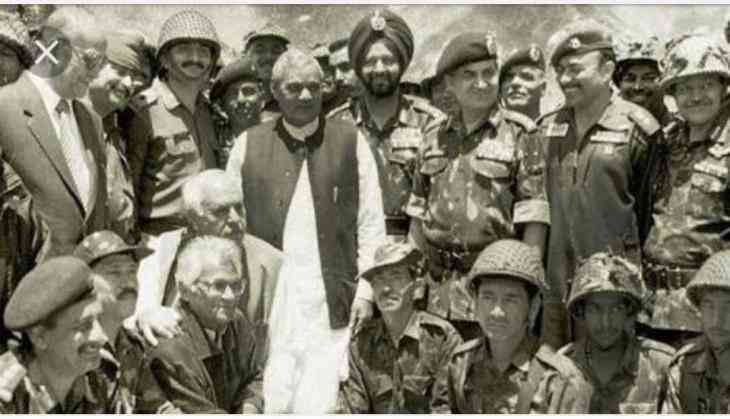 On 3 July 1999, Indian Army started the operation Vijay to recapture Tiger Hill and next day during a public rally in Haryana, Vajpayee announced the success of Indian Army. The same day Pakistani PM Nawaz Sharif went to meet the then US President Bill Clinton. Linkin Park's front-man: cause of death revealed!